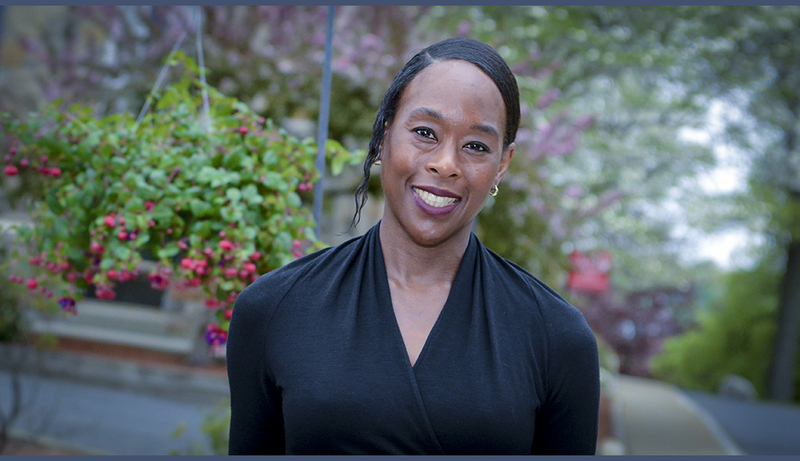 Author Margot Lee Shetterly captivated readers all over the world with her book Hidden Figures: The American Dream and the Untold Story of the Black Women Mathematicians Who Helped Win the Space Race. Shining a vibrant light on a nearly forgotten chapter in our nation’s recent past, she has made an extraordinary contribution to American history. An instant No. 1 New York Times best seller, Hidden Figures was named a top book of 2016 by both TIME and Publishers Weekly. It also received the Anisfield-Wolf Book Award, which recognizes work that deepens our understanding of racism and human diversity. The film version of Hidden Figures scored a critical and box-office hit, earning several Academy Award nominations, including Best Picture. ​Shetterly also launched The Human Computer Project, which is working to recover the names and accomplishments of all of the women who worked as “computers,” mathematicians, scientists, and engineers at NASA from the 1930s to the 1980s. Her goal for the project is two-fold: to amplify the lives of women whose work advanced our nation’s leadership in the 20th century, and to help new generations of women and minorities to pursue careers in STEM fields. Before WPI celebrated her visit to campus and listened to her encouraging commencement address, Shetterly sat down with The Daily Herd for a behind-the-scenes look at Hidden Figures, and to talk about life after graduation. What is the background of Hidden Figures? How did you discover these stories, what made them stick with you? I have a personal connection to the story because my father worked his entire career at NASA as an atmospheric research scientist. I grew up in Hampton, Virginia, where the Langley Research Center is located. I knew the women [in the book] growing up: Katherine Johnson and Mary Jackson, who actually worked with my father; Christine Darden, who is the same generation as my dad. That’s how I knew the story. I basically grew up right there in the shadow of the wind tunnels of NASA. While doing research for the book, what surprised you the most about these stories? The thing that really surprised me was how many women there were. I started this story knowing some of the women, like Katherine Johnson, but really having no idea how they ended up at NASA Langley, which was then called the Langley Laboratory. Why were they hiring women, and black women, during the 1940s and 1950s, as mathematicians? I started with Katherine Johnson because she was, and is, the most well-known of those women. It led me to Dorothy Vaughn and all these other women. It uncovered that this cohort of women of all backgrounds was enormous, and that computing wasn’t the exception for women, it was the norm. Computing was a woman’s job. It’s the same if you look at other NASA centers, if you look at Bell Labs, the NSA … all of this was women’s work. That’s what these women were doing, and that’s what came to fruition around World War II. I was surprised at the number of women doing this, and I was thrilled to find that they were part of this larger infrastructure of women doing math. Henry John Edward Reid, who graduated from WPI in 1919, was mentioned a few times in Hidden Figures. Why did you choose to include him in the story? Reid was the engineer in charge of the laboratory from 1926 to 1960, which was a huge amount of time. He shaped and guided that laboratory, the kernel of what would become NASA over the course of decades. He was also the person on the job when the decision was made to hire white women in 1935, and then to hire this cohort of black women starting in 1943. He was there when many of the signal achievements of that agency—including the production during World War II, the breaking of the sound barrier in 1947, supersonic flight in the 1950s and 1960s, and then the space program—happened at the National Advisory Committee of Aeronautics (NACA), which became NASA in 1958. You can’t tell this story without also telling his story. We’re thrilled to have you as our commencement speaker this year. Is Mr. Reid one of the reasons you decided to speak? Yes, it was because of his connection to the story. He was a grad, Richard Whitcomb was a grad, Henry Pearson, who was Katherine Johnson’s boss for the first part of her career, was a grad, and others. WPI has always been a part of the essential nature of the NASA Langley Research Center because of the long shadow of Henry Reid. In a short profile on Mr. Reid on the NASA website, it says that he helped “develop the culture at NASA.” Based on your research for Hidden Figures, what does this mean to you? In the NACA charter, that organization was charged with the scientific investigation of flight, with a view to a practical solution. I think this idea of practical solutions is really fundamental to the DNA of that laboratory. They were set up not to be a think tank that was isolated from the real world, but to think with the real world. I think that real-world orientation meant that they had to find talented people wherever they could, when they needed them. During World War II, they were trying to hire women from all of the private women’s colleges in Virginia as quickly as they could, and they still could not keep up with the demand. So they hired black women; they said, “These women are qualified, they’re at the top of their class, we’re going to bring them into this organization.” I think that’s fundamental to that laboratory, to that predecessor organization which eventually became NASA. That pragmatic sensibility and common mission of working together made it a place that was more welcoming to these women than other organizations might have been. You can still see the fingerprints of that today. It seems, to this day, that there is still a shortage of computers, especially computer science experts in the world. I think it’s always that way. One of the very interesting things about the research was to see documents from the 1930s up through the 1970s; they read as if they could have been written today. The need for more people to fill these jobs and the consequences if we don’t fill these jobs … about women getting stuck at middle levels of management and not making it to the upper level. All of these things we’re still discussing today they were talking about during World War II, the Cold War, and the Space Race. Another WPI alum, Richard Whitcomb ’43, made it into Hidden Figures as well. What influenced you to include him? There’s no way to talk about the work that came out of the laboratory without talking about him and this contribution that he made, specifically to transonic dynamics; he made understandable the wind flow over the wings of an airplane as it moves from sonic speeds to subsonic speeds. He made several other contributions to making airplanes as efficient as they are today. He’s another towering person who is in this field, and you can’t talk about this history without talking about him. Hidden Figures is a story about powerful women who made history, and who played an important role in the development of NASA. Now it’s 2018, over 50 years later. What kind of impact do you think the women in this book have had on other women pursuing a path in STEM? I think there are two impacts. One is the door-opening impact they had over the years. After the women came in, they were known for doing good work, they pierced these untruths that women couldn’t do math, that black people couldn’t do math and engineering, and other negatives stereotypes. They came in and were an excellent presence, they proved all that to be wrong. Thus, they made it possible for more women and more minorities to come in. NASA and other organizations provided a base for the next generations of women to move higher and to do more. The second impact is telling their story. To have people today who still have these ideas of “women can’t do math” is really remarkable. These women were able to say, “No, not only can women do math, they do it at the highest levels, and they’ve been doing it for decades.” Pulling back that curtain and having people see these women as role models, as scientists, engineers, mathematicians, and who are also normal people, is tremendously powerful. I think not just for women or African Americans, but for a much larger group of people: scientists, people who are passionate about this and who want to make contributions to society. By telling their stories, we have the power to inspire and educate a next generation of people. What advice would you give girls who are considering pursuing STEM as they move into higher education? I would say first, don’t be afraid to fail. I think men are more comfortable with failure, with being able to say, “You know what? This didn’t work out, I’m going to try something else.” I think that, in a way, is the essence of scientific inquiry; you come to a dead end, and you’ve got to figure out another way forward. You might need to change your experiment, you might have to change your theory. I think men are more likely to say, “Ok, that failed, but that doesn’t mean I am a failure. It means that I have to do something different.” I think women are more likely to be perfectionists in that sense. If we could say, “So what? I failed and I’m going to dust myself off and move forward,” I think that’s a good lesson to learn, for everybody. I would also say that you don’t know where your mentors are going to come from. It is amazing to have these role models that look like you, that understand you, that came from where you’re from; that’s important, that’s powerful. But, you have to be open to the fact that your best role models, your best mentors, may be somebody who, on the surface is totally different, but is your professional soulmate. It’s like Mary Jackson with Kazimierz Czarnecki [Mary’s mentor who encouraged her to get an advanced degree in engineering], who was from Massachusetts. It was very different, on the face of it: a black woman from the south, a white man from the north. They had a productive, professional partnership that lasted two decades. I think we have to be open to finding kindred spirits of different backgrounds, and different kinds. You have to be open to people; people will surprise you. You wear multiple hats in this society. You’re a professional, but you also have some obligations to your fellow citizens. If you are interested in and have a certain vision of the world and how it should be, then it’s your obligation to push for that world. This generation coming up, this is their world now. They’re the ones who are going to shape the world, and the ones who are going to live in the world. I think understanding that, even if you’re not somebody who’s out front, center stage, you still have responsibilities, and you still have things to give to influence others.